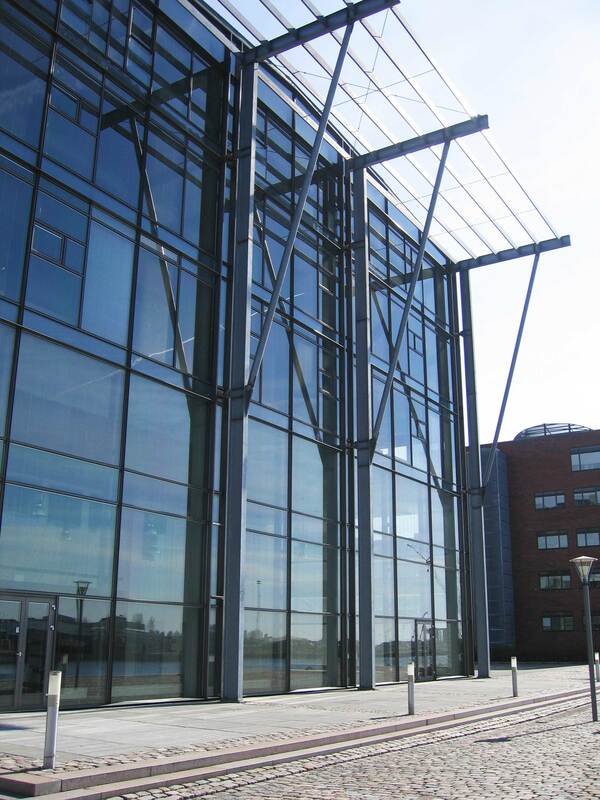 The building is an open plan office headquarters for software developer Aston It Group. It relates to the scale of the harbour and the concept takes inspiration from the previous ship yards and warehouses on the site. The building design made it possible to use pioneering natural ventilation techniques. In keeping with the context, robust materials were applied that enabled the use of night cooling. Striking concrete columns in the building’s full height carry the double-pitch roof. 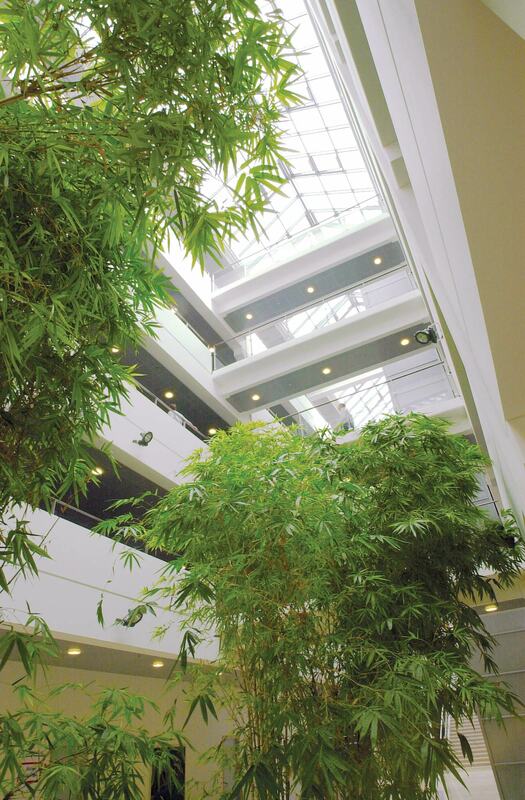 The interior is characterised by lots of daylight, a central atrium with large planting, lounges and staggered walkways that connect the different levels. 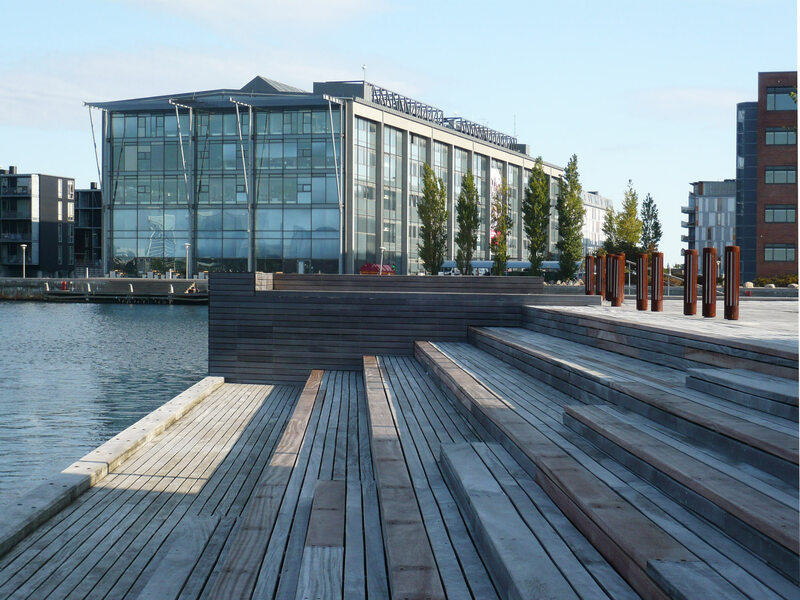 The lounge areas and the canteen on the ground floor make the most of the location by the harbour and the potential for outdoor activities. Today the building is being used by TV 2.